This dog sledding article was brought to you by our friends at Matador, the makers of lightweight, waterproof backpacks that can stand up to snowy hikes, icy campgrounds, and tough winter trails. The modern mushing community is close-knit and home-spun. Unlike other sports where millions of dollars are poured into perfecting gear, advancing new technology, and breaking records, mushers still do many things the old-fashioned way. 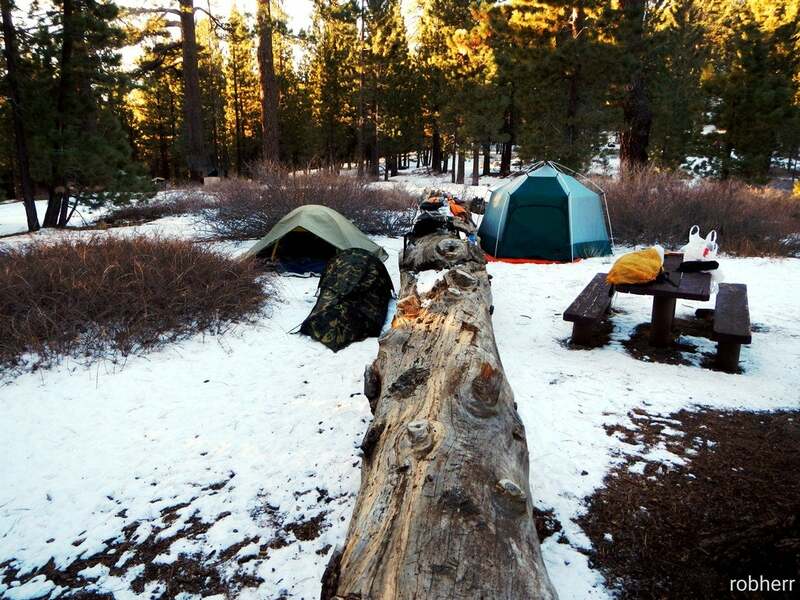 Kinda like campers—especially those who love sleeping outside enough to keep at it when it’s cold and snowy. 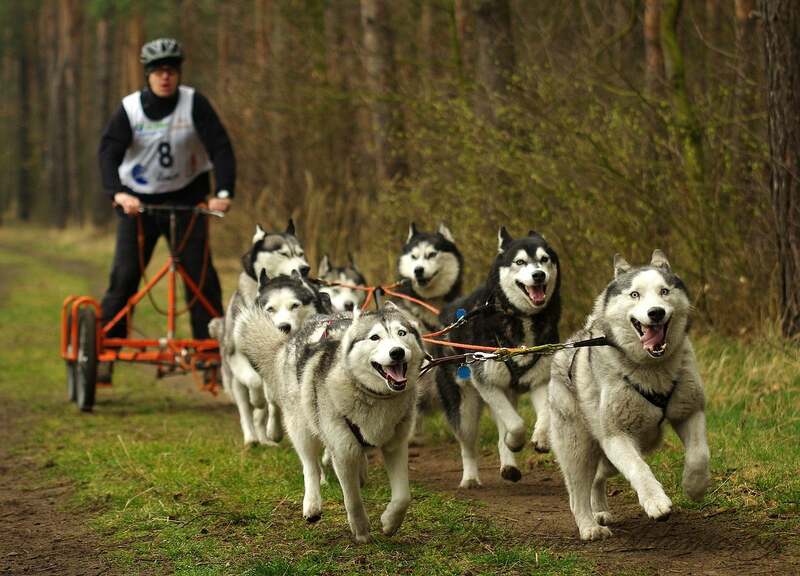 Despite the humble musher ethos, modern technology has helped introduce sled dogs to new audiences. Perhaps you’re familiar with Blair Braverman, author of the outdoor adventure memoir Welcome to the Goddamn Ice Cube, who shares stories of her team’s training, races, and daily life in long-form threads on Twitter. Those have proven so popular that other mushers have been inspired to create accounts for themselves and their teams. Sled dog fans have coalesced into an online community that calls itself #MusherTwitter. Meanwhile, offline, mushing enthusiasts are starting new clubs and organizations that have spread the popularity of mushing offshoots like skijoring and dryland racing. Whether you have a pack of huskies and a sled yourself or you just love to follow the adventures of adorable canine athletes, there are lots of campgrounds in the great north woods where you can get your dog sledding fix. Some have special amenities for dog sled teams. Others are close to the routes for races that will be happening from the start of the season in late fall through early spring. Still others are close to newly minted mushing communities where dryland fun runs and meetups are starting to take off. Wherever you go, be sure to dress warmly in case the going gets ruff. Did you know that all Minnesota state parks are dog-friendly? As long as your Dyrt Dog is on a leash that meets length requirements, you’re free to bring one pup or a whole team of sled dogs. 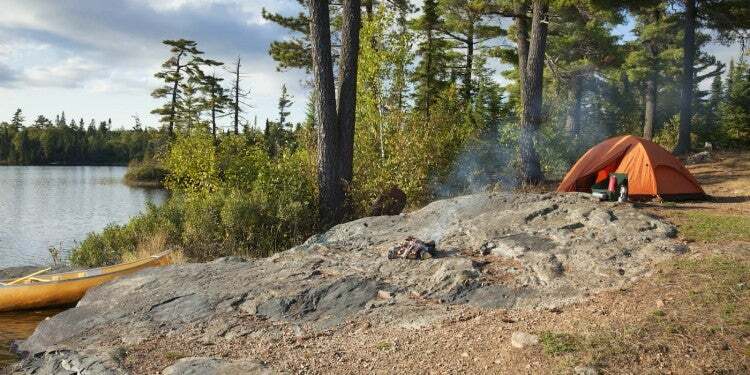 There are 13 primitive campsites here open year round, with vault toilets and fire rings. You can collect firewood that’s on the ground, and there are garbage cans and picnic tables available. 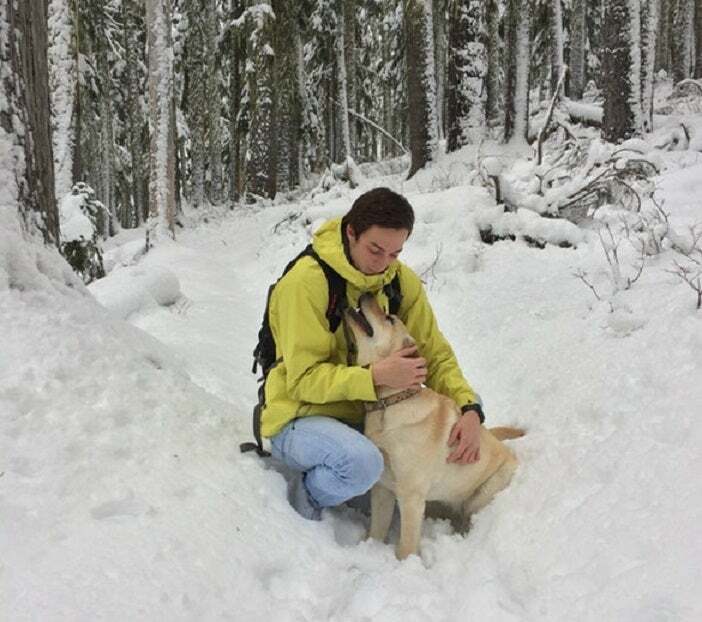 Between the dog-friendly vibe and the hundreds of groomed snowmobile trails near Button Box Lake, it’s no wonder that the George Washington State Forest is so popular with mushers. 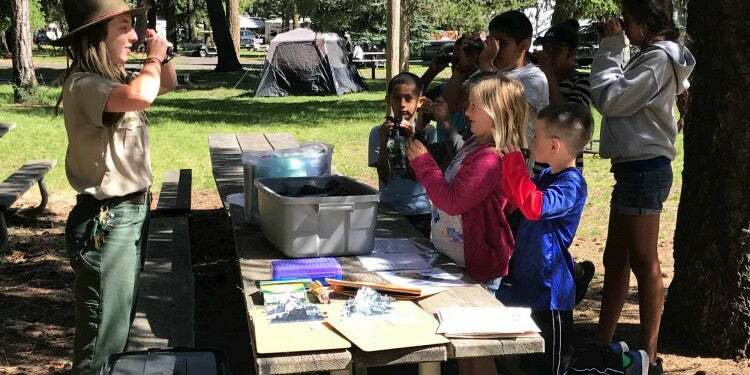 In fact, in years past, Button Box Campground has hosted early-season gatherings of younger mushers who are training for the Jr. Beargrease race. You can thank local musher Jamie Nelson for that— she’s won the John Beargrease Sled Dog Marathon four times and has competed in the Iditarod four times. Image from The Dyrt camper Daniel B. In addition to ten campsites and four vault toilets, Walt Haring also boasts a log-wall warming hut equipped with a wood stove and benches. It’s popular with mushers, hunters, cross country skiers, and other outdoor enthusiasts passing through during the day. And every year on the third weekend of every January, you can look forward to the park being filled with pups who are ready to pull. Bring along a lightweight, waterproof backpack that can hold all your winter hiking gear without weighing you down. Chena is synonymous with Alaska dog sledding. There are numerous spots to icefish, miles upon miles of loop trails for snowmobiles, skijoring, and dog mushing, not to mention the local hot springs that will warm you right back up after spending your day playing in the snow. The trails are maintained by a variety of stakeholders, and the Chena Hot Springs Winter Trail in particular is popular with mushers— of which there are quite a few in the area. You can head out with one of the local kennels, or bring your own team. Either way, you’ll be covering the same territory as some of the greatest mushers in the sport. 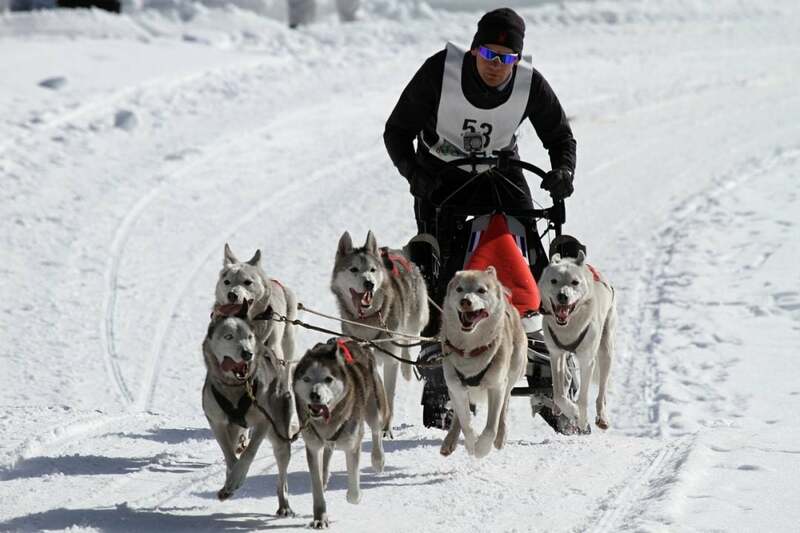 The Chena Hot Springs Winter Trail is part of the course for the Iditarod, as well as the famous 1000-mile Yukon Quest race, a pre-qualifier for the Iditarod and one of the most celebrated races a musher can run. It’s also used for smaller local races and lots and lots of training runs. There are 35 campsites at Chena River Park, including RV pull-throughs. There’s potable water stations, restrooms, a warming pavilion, and day use facilities. You can even rent an ice house $30 per day. If you need a break from the snow and wilderness, you can always pop into the nearest town— just look for the signs that say North Pole. Consider taking the opportunity to have some fun sending mail with that official postmark! The Ray Benson Sno-Park might not have the same ties to the Chemult dog sledding races as the Walt Haring Sno-Park, but it does have lots of amenities mushers will appreciate. In addition to multiple warming huts at Brandenburg Butte, Island Junction, and North Blowout, Ray Benson has two restrooms and a staging area with snub posts for sled dogs. 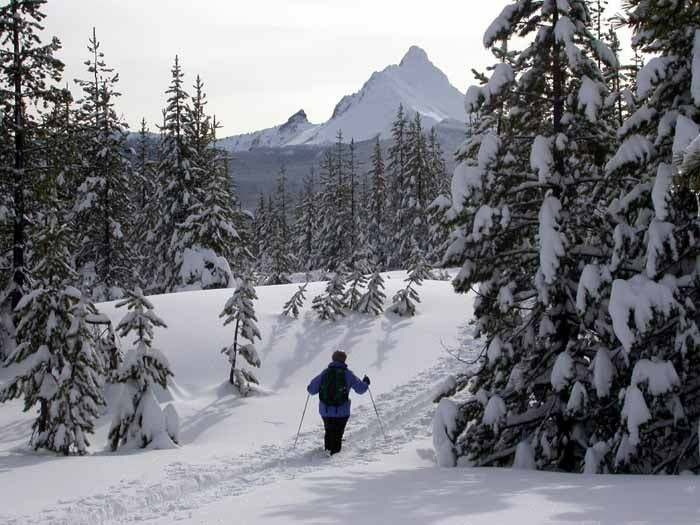 You’ll be in the midst of Oregon’s famous Three Sisters mountains right in between the Willamette and Deschutes National Forests, with lots of trails to choose from. Many of those are shared with skiers and snowmobilers, but if you want to stick to a motor-free trail, look for the ones marked with blue diamonds. The Sand Mountain Loop Snow Trail in particular is a favorite of area mushers. And if you work up an appetite out there, head to the nearby Hoodoo Ski Area for concessions. 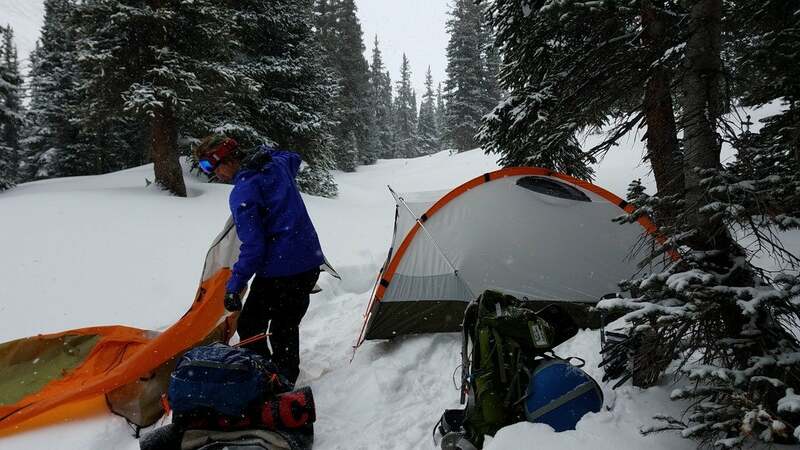 Image from The Dyrt camper Rob H.
Not far from Walt Haring Sno-Park, South Diamond Sno-Park is named for its proximity to Diamond Lake at the foot of Mt. Thielson, not far from Crater Lake. There’s a lot to do in this area, including several trails plotted for Nordic skiing, dog sledding, and other winter sports. 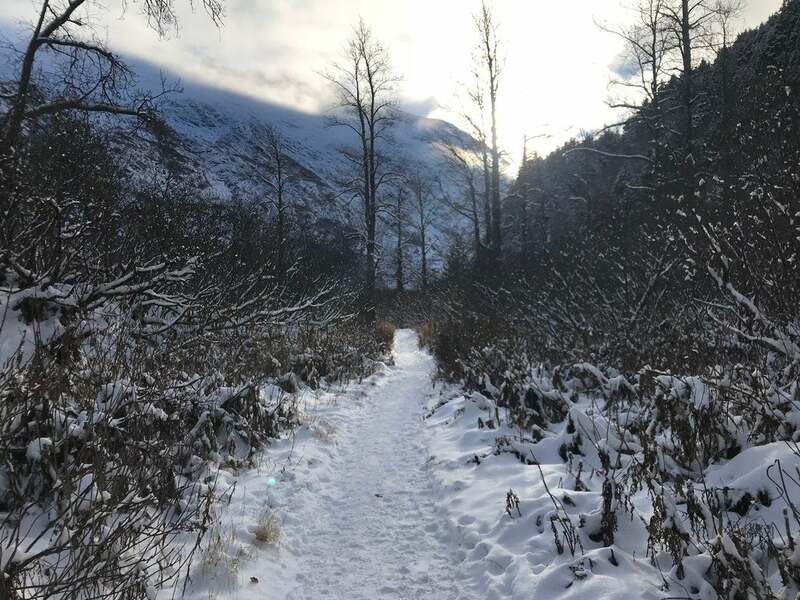 You can mush along the Diamond Lake-John Dellenbeck Trail, Horse N’ Teal Lakes Trail, North Crater Trail, Outback Trail, and Thielsen View Connect Trail. You can also try snowshoeing at Crater Lake, snowcat skiing at Mt. 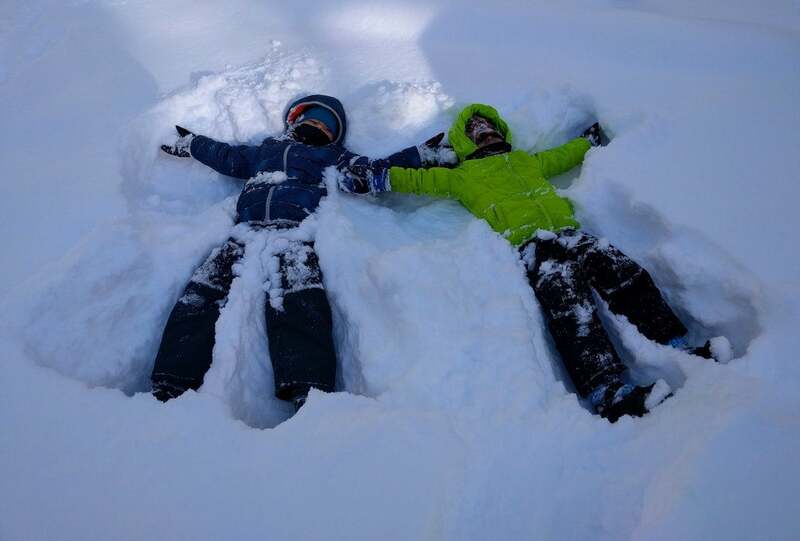 Bailey, snow tubing at Diamond Lake, and soaking your sore muscles in Umpqua Hot Springs. With 40 feet of annual snowfall in the area and lots of groomed and ungroomed trails to pick from, the challenge will be narrowing down where to start your adventure. Delaware is often overlooked by outdoor recreationalists, and New England isn’t exactly the first place you think of when you think about mushing. Nevertheless, Lums Pond State Park is a lovely, dog-friendly Delaware campground close to the Fair Hill Natural Resource Management Area across the Maryland border, where the Pennsylvania Sled Dog Club hosts its annual Fair Hill Challenge in December. After the teams have run the exciting 3 mile ISDRA and IFSS sanctioned course, mushers, volunteers, and fans meet up at Wesley’s, a local watering hole that’s been open since the 1950’s. As for Lums Pond State Park, it’s beloved by campers heading out with their #DyrtDogs even if they aren’t mushers. In the summer months you can SUP or kayak, or even go ziplining. 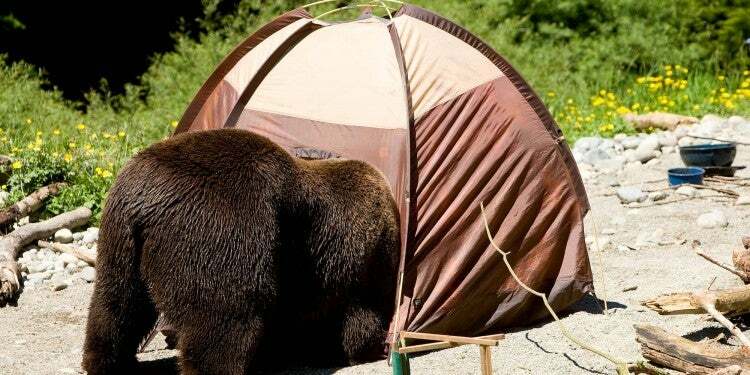 “Campground sites are nice and spacious, bathrooms are good, and there’s plenty to do for everyone. We hiked the 7.5 mile lake trail with our two pups. It was beautiful and along the way there were opportunities to kayak/sup, beach it, or even play on a ropes course. We always travel with our dogs and this place has the BEST dog park. Big open space with access to lots of water play. We definitely recommend this spot!” –The Dyrt camper Laura R.
Image from The Dyrt camper Ash V.
Another location for a race sponsored by the Pennsylvania Sled Dog Club, Winona Forest Camp is home to the Tug Hill Challenge, as well as other sled dog races. Thanks to getting some of the largest amounts of snowfall east of the Rockies, infrastructure built by the Civilian Conservation Corps during the Depression, and the hard work of the Winona Forest Recreation Association, it’s no wonder that Winona Forest Camp draws mushers from throughout the northeast and even the midwest. Primitive camping is available at several sites in the forest, and bathrooms are located at some of the trailheads ahead of ski and mushing routes. 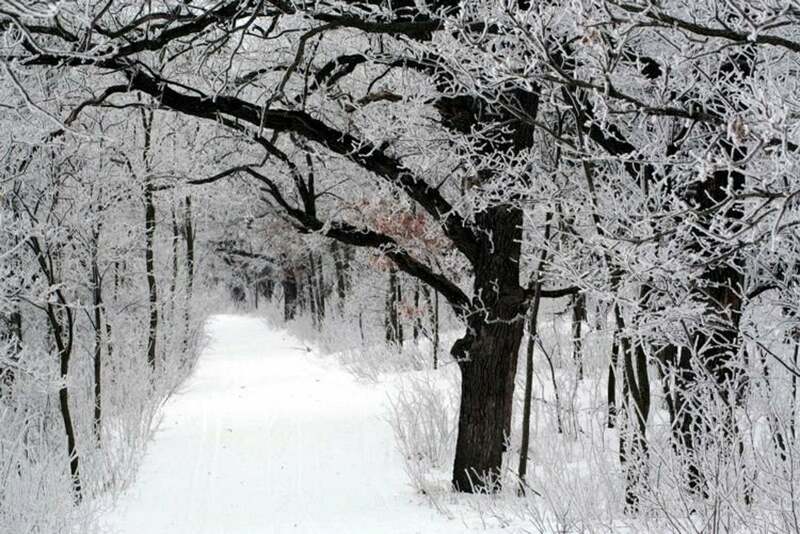 In addition to camping and dog sledding, other outdoor sports you can enjoy at Winona include mountain and fat biking, cross-country skiing, snowmobiling, canacross, skijoring, and more. Image from The Dyrt camper Basia M.
Mushing died off in Eagle Lake, Maine in 2015, but much like you can’t keep a sled dog from pulling, you couldn’t keep Mainers from mushing for long. The Eagle Lake Sled Dog Race made a comeback in 2017 thanks to long-time musher Amy Dionne and the local community of sled-dog lovers. The Irving Woodlands/Eagle Lake 100 and Mad Bomber 30 are two races that take place in the area now, with lots of small town camaraderie to go around, no matter how far mushers or spectators have come for the competition. Deboullie Public Lands is one of the closest campgrounds to Eagle Lake, and boasts wonderful views of the area— especially from the fire tower. 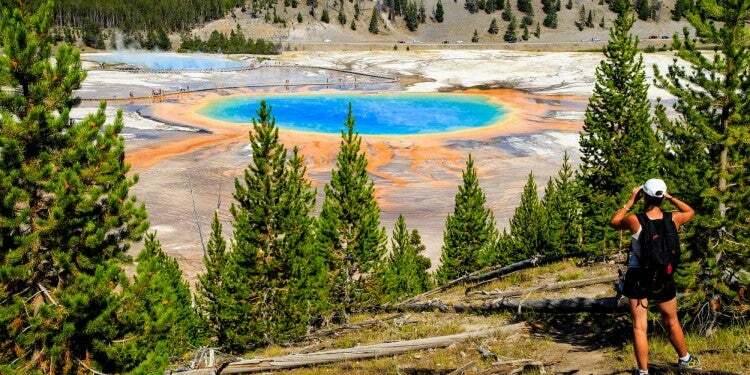 “The hiking trails are some of the best I have been on at such a site. They could use some more signs at intersections but with the trail map we got from the checkpoint we were able to figure them out. The view points you can hike up to are beautiful. Two of them, have log benches to sit down at the top and admire the view. Several trails I took had rock stairs and wooden stairs.” –-The Dyrt camper Tina D.
The Great North Woods Sled Dog Challenge stands out not only as a New England dog sledding race, but for its stage racing format that isn’t often seen in this neck of the country. Stage racing means that rather than simply running 60 or 100 miles, mushers do shorter legs between small towns where they can overnight, with support from the different communities along the way. Image from The Dyrt camper Gillian H.
While it’s true that snow is the reason we have dog sledding, it’s no longer necessary to mush. That’s good news for dogs who love to pull and the people who love sled dogs—especially in an era when winters are increasingly unpredictable. 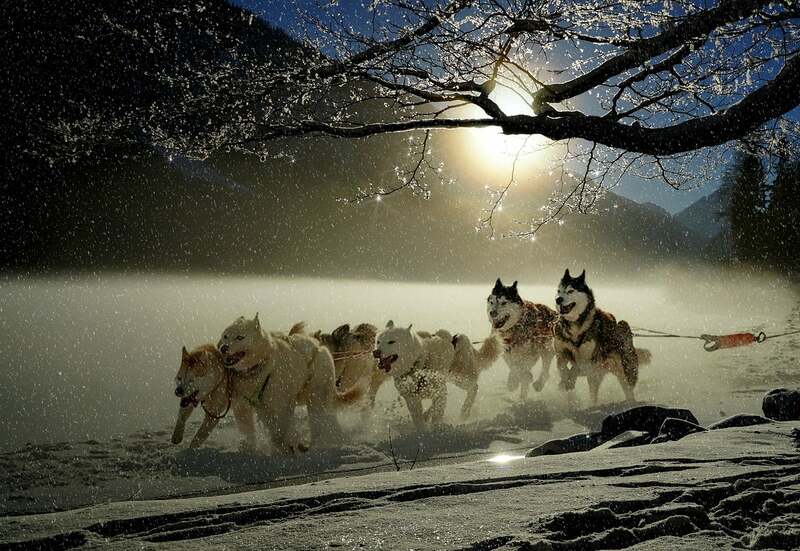 It also means that sled dog communities have grown even in places where you can’t count on heaps of powder. Clubs like the West Penn Mushers organize dry-land events in the Alle Kiski Valley, as well as more traditional snow events that draw mushers from Pennsylvania, New York, and Ohio. 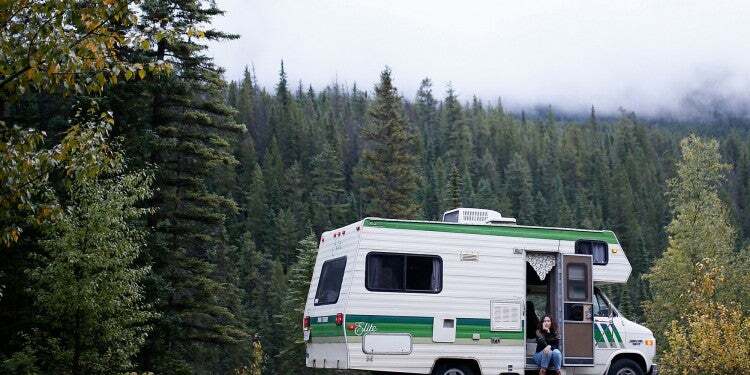 In addition to 100 electric and water sites, 50 of which are full hook-up, a campground store, laundromat, and an on-site caterer and restaurant, Cooper’s Lake also has something few other campgrounds do— its very own castle. Start planning a trip to Pennsylvania this winter, because you can’t beat the combination of adorable canine athletes and medieval-style fortresses. Image from The Dyrt camper Ashley J. As you approach the park along Quartz Lake Road, soak up the long history of this place and how intertwined it is with mushing. The road actually began as an Inuit dog sledding trail, running between Healy, Alaska and the communities along the Tanana River. 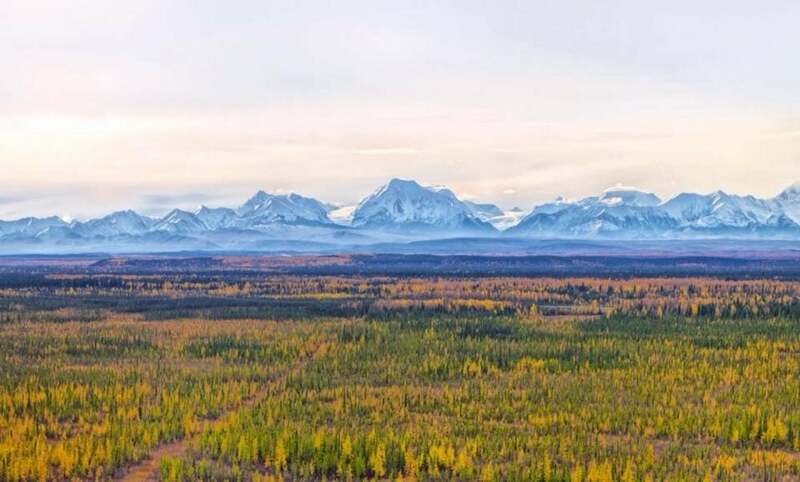 Quartz Lake is a winter-lover’s dream destination, with stunning views of the Tanana River Valley amd Alaska Range, loads of ice fishing, and plenty of trails where the state’s eponymous huskies will love exploring. There are 600 acres of park for you to cover, and several places to camp within that, including several cabins. For over twenty years, Wisconsin’s Apostle Islands have hosted a variety of annual dog sledding races along the The Sand River Trail System of Bayfield County. If you’re curious about the sport and want to learn more, or want to actually get involved, there’s ample opportunities at the Apostle Islands race. You can join in on Meet the Mushers dinners and mixers, or attend as a voluntourist and serve along the route, or even as a dog handler. 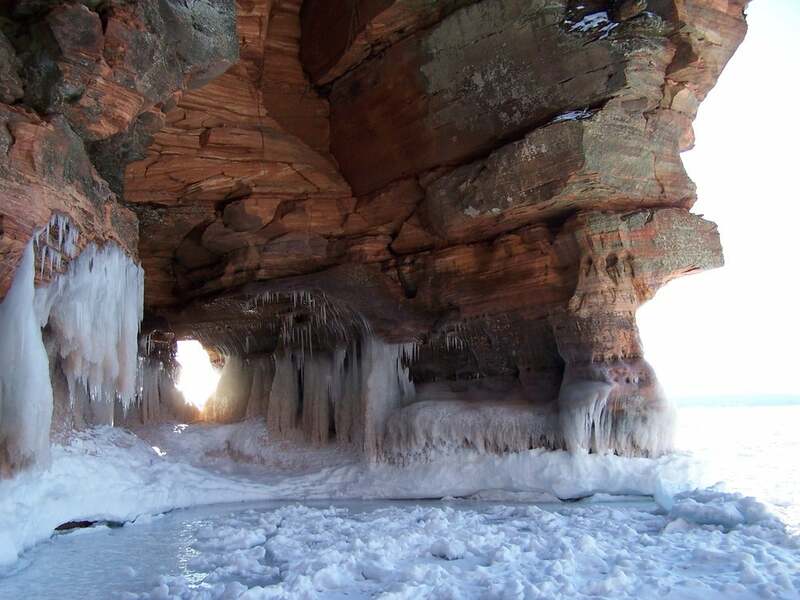 There are numerous camping opportunities on the Apostle Islands, too. Many have beaches or boat ramps, as the area is understandably very popular with sea kayakers. “The backcountry camping areas are nice, but not much to speak of other than a place to pitch your tent — though the islands, views of Lake Superior, paddling/sailing/fishing options, and sunrises and sunsets are truly to die for!” –The Dyrt camper Shari G.